Is your sunscreen actually protecting your family as advertised? Or are some of the claims just marketing hype? Of the more than 600 beach and sports sunscreens analyzed by Environmental Working Group for our 2011 Sunscreen Guide, we can only recommend one in five. The sunscreen industry continues to load store shelves with bottles listing misleading, sky-high SPF ratings that may protect against UVB rays that cause sunburn but leave skin at risk for UVA damage. And nearly one in three products in the guide are still laced with vitamin A ingredients that accelerate the growth of skin tumors and lesions according to recent government studies. Last year I took my time reading through the 2010 EWG sunscreen report and writing a response here in my blog. Throughout the year I posted updated information in this blog on the EWG report. Below I’ve listed my other posts about the 2010 EWG sunscreen report. Needless to say, the 2010 EWG sunscreen report got a ton of media attention and, in my opinion, created a ton of unnecessary hysteria. In my humble opinion it comes down to this – just as you shouldn’t believe every skincare claim by beauty and cosmetic companies you also need to take what the EWG says about sunscreens with a grain of salt. All their scary claims are controversial. For example many experts completely disagree with the EWG’s claims about Vitamin A in sunscreens. If you prefer to follow the EWG’s recommendations than go for it, but please keep in mind that they are one opinion among many about sunscreens. Having said that there two parts of the sunscreen report that I do agree with. The first one is about how high spf numbers (like spf 100) are ridiculous and ultimately create more harm than good. Secondly I agree with the statement that the FDA’s new regulations on sunscreen are LONG overdue. Lastly, one of the things that bothers me the most about the EWG’s sunscreen reports is the fact that they are all doom and gloom and frankly, I am afraid that people might stop using sunscreen because of all the doom and gloom in their report. So until they actually come out with that sunscreen pill I’ve read about keep using your sunscreen every day – no matter what. Last year’s EWG sunscreen report created quite a ruckus and got a lot of media attention. In my opinion it also created a lot of unnecessary stress, worry, and aggravation particularly for parents who wanted to make sure that their children were properly protected from the sun. Perhaps what bothered me the most wasn’t the debate about which sunscreens were best because I actually don’t think all sunscreens are created equal, but the lack of insight and the blind following that many people engaged in after reading (or just hearing) about the EWG report. Instead of investigating the issue for themselves many people, and I knew quite a few personally, didn’t give the EWG’s statements a second thought and instead of doing some of their own investigating they simply became hysterical about buying the “right” sunscreen. (I tried to cover different sides of this debate in my blog last summer is my posts: Sunscreen Woes – The EWG Releases Its Annual Sunscreen Report and The Debate Continues: More on the Sunscreen Controversy) So I was pleased to see the recent article Shedding Light on Sunscreens in MedEsthetics Magazine which addressed many of the issues raised in the EWG report last year. based on initial, unpublished findings from a National Toxicology Program study released in late 2009 by the FDA. The NTP is the federal government’s principal evaluator of substances that raise public health concerns. In the study, lab mice were coated in 0.1% to 0.5% vitamin A cream and then exposed to the equivalent of up to nine minutes of midday Florida sunlight each day for one year. The EWG says that tumors and lesions developed in up to 21% sooner in lab animals coated in the vitamin A cream compared to control animals covered in a vitamin-free cream. The EWG’s interpretation caught physicians and the industry by surprise. It wasn’t until November 2010 that dermatologists responded in a paper published in the Journal of the American Academy of Dermatology. Lead author Steven Q. Wang, MD, from Memorial Sloan-Kettering Cancer Center in New York City, and colleagues disagreed with the EWG conclusions, saying that the number of malignant neoplasms in the two groups of mice were not significantly different in mice exposed to the higher doses of radiation. They concluded that the evidence did not support calling the combination of retinyl palmitate and UV photocarcinogenic. Oxybenzone is a helpful ingredient because it has some UVA absorption characteristics,” says Kononov. “It is approved for use in sunscreens by many other countries including Japan, Australia and South Korea. I have to say that I was pleased to read these counter interpretations of the EWG’s conclusions. Though I was initially inclined to think the EWG was on to something when I read their report last year I have since decided that their claims were way overblown. Of course all this makes me wonder – what is the EWG going to say in their 2011 sunscreen report? Only time will tell. Have you noticed lately that you can easily find sunscreens with a SPF of 50, 70, or even 100? Have you wondered if those sunscreens protect you better than ones that have a SPF of 30? Actually you should think twice before using a sunscreen with an SPF higher than 30. First of All – What Does the SPF Rating Mean? The SPF rating is a reliable measurement of protection against UVB (short-spectrum) wavelengths (290-320 nanometers; 1 nm is a billionth of a meter). SPF is the comparative ratio between the minimal erythemal dose (MED) in skin protected with sunscreen and the MED in unprotected skin. For example, if it takes 20 minutes without protection to produce erythema, an SPF 15 sunscreen might prevent reddening 15 times longer—about five hours. That figure is theoretical, however, and sun damage can occur even without reddening, so dermatologists normally advise reapplying after approximately two hours.The Skin Cancer Foundation considers SPFs of 15 or higher acceptable UVB protection. Such sunscreens also provide some protection against UVA wavelengths (320-400 nm), though the SPF rating refers only to UVB protection. No FDA-approved measurement standard exists yet for UVA protection in the US, even though UVA penetrates more deeply into the skin than UVB, reaching the dermis. In the past, experts believed that UVB causes burning and skin cancer, while UVA causes photoaging, but the truth has proven more complex. In addition to producing sunburn, UVB can contribute to photoaging, and both UVA and UVB exposure can lead to skin cancer. Broad-spectrum sunscreens combine UVB and UVA-absorbing chemicals and/or physical blockers, and give the most protection. However, they do not provide complete coverage in the UVA1 range (340 – 400 nm). How Much Sun Is Blocked? SPF math is also deceptive because the numbers don’t add up. 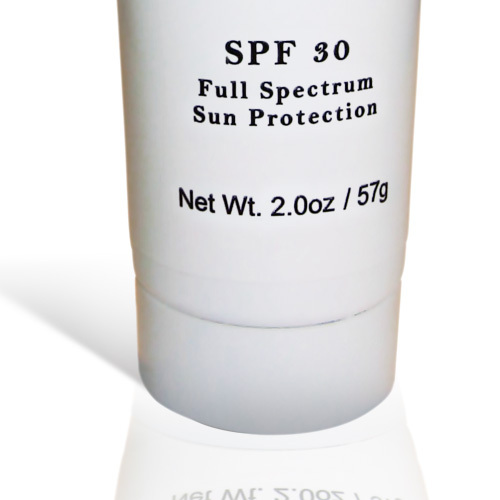 SPF 30 does not double the protection of SPF 15, for example. It would figure that you should be able to stay in the sun thirty times longer, but that’s not the case. An SPF 15 allegedly blocks 93 to 95 percent of UVB rays, while an SPF 30 supplies 97 percent coverage. So bumping your SPF to over 50 doesn’t make it that much more protective. Q. Many people mistakenly believe that an SPF 30 rating gives twice as much sun protection as an SPF 15 and an SPF 50 more than three times that much. What is really the difference? A. In vitro tests have shown that SPF 15 sunscreens filter out 93% of UVB rays, while SPF 30 protects against 97% and SPF 50 98%. In 2007, the FDA published draft regulations that would prohibit companies from labeling sunscreens with an SPF (sun protection factor) higher than “SPF 50+.” The agency wrote that higher values would be “inherently misleading,” given that “there is no assurance that the specific values themselves are in fact truthful…” (FDA 2007). Since then FDA has been flooded with data from sunscreen makers seeking to win agency approval for high-SPF products, and store shelves have been increasingly packed with high-SPF products the agency has yet to validate. Johnson & Johnson (makers of Neutrogena and Aveeno sunscreens) submitted data in August 2008 to support SPF 70 and SPF 85 claims (J&J 2008). Playtex (Banana Boat sunscreen) sent data supporting high SPF claims in 2007. A Coppertone spokeswoman said, “Many manufacturers, including Coppertone, have submitted new data [on high-SPF products] for review and are awaiting FDA’s response” (Boyles 2009). 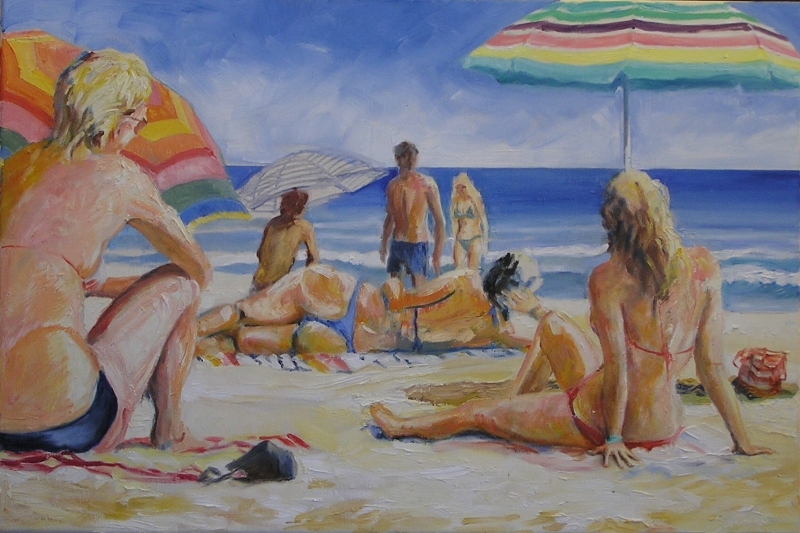 High-SPF sunscreens are popular. Sales have been on the rise for at least a decade, so it’s no wonder that sunscreen makers are fighting to keep them legal. In a letter to FDA 10 years ago, Neutrogena cited consumers’ clear demand for high SPF products, calling them “one of the fastest growing segments” of the market (Neutrogena 2000). Between 2004 and 2008, sales of high-SPF products in Europe (SPF 40 and 50+) swelled from 15 percent to 20 percent of the market (Jones 2010). 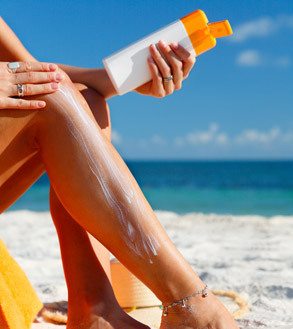 In 2010, sunscreen makers have once again increased their high-SPF offerings in the US. Nearly one in six products now lists SPF values higher than “SPF 50+”, compared to only one in eight the year before, according to EWG’s analysis of nearly 500 beach and sport sunscreens. A 1999 study published in the Journal of the National Cancer Institute showed that using higher-SPF sunscreens lead to increased sun exposure. In the experiment, one group was given a low-SPF sunscreen, while the other sued SPF 30. The group given the higher SPF spent 20 percent more time in the sun than the other group. Even though it’s wrong-headed, we’re often guilty of spending more time in the sun than we should and not reapplying a sunscreen just because the SPF is 50 or 70. Those are deceptive numbers for sure, and inaccurate – especially if you remember that a higher SPF give you only a fraction more protection. In fact, for these reasons, the FDA is considering limiting SPF values to 30, with higher SPF labeled “30 plus”. 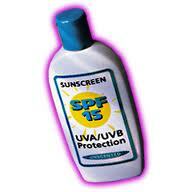 When it comes to sunscreen use SPF 30 will give you more than adequate protection. What is most important when it comes to sunscreen use is applying enough sunscreen (an adult needs a shot glass size amount of sunscreen for their whole body) and to reapply sunscreen throughout the day – every two hours if you are spending the day outdoors. It is also important to look for a sunscreen that gives you protection from both UVA and UVB rays. The New York Times just published an online debate about the sunscreen controversy. * Actually it isn’t even much of a debate since all the experts seem to pretty much agree on a few major points when it comes to sunscreen. In a section of the online paper called Room for Debate – A Running Commentary on the News in an article entitled What We Still Don’t Know About Sunscreens five experts weigh in on some of the most pressing sunscreen topics: the need for new FDA regulations in regards to sunscreen, the fact that the FDA needs to approve more sunscreen ingredients, if Vitamin A in sunscreens is harmful, the need for both proper UVA and UVB protection in sunscreens, and the need for continued research into effective sunscreen formulations. All the experts agree that the FDA needs to step up their game when it comes to sunscreens. The FDA has been dragging their feet about both approving new sunscreen ingredients (for example “In the U.S., there are 17 approved sunscreen agents, Europe has 28, and Japan has more than 40”) and about requiring sunscreen manufacturers to test their sunscreens for UVA protection and to inform consumers about the amount of that protection in their product. Obviously the contributor to the debate from the EWG is going to have many issues with almost all the commercial sunscreens on the market, but I was surprised to find that other experts agreed with her on certain points including the need for more research on the use of Vitamin A in sunscreens and its link to cancer. One commentator even brought up the issue of nanoparticles. Two issues came through loud and clear in this debate. One is the need for the FDA to approve more sunscreen ingredients. The second issue is the need for the FDA to approve new regulations and testing criteria for sunscreens before they enter the market place. I think consumers would be better protected from sun exposure if the FDA would move forward quickly with both those issues. I do think it is important to practice what you preach so I went to get a skin cancer full body exam. Of course the fact that my husband mentioned that a mole on the back of my neck which I can’t see at all looked strange to him helped push me to make the appointment as well. The appointment itself was quick and easy and made all the better by the fact that the dermatologist was friendly and outgoing. The nurse took my vitals and had me remove all my clothes except my bra and underwear; I put on a paper robe with the opening in the back. Once the doctor entered the exam room I told her about the two moles I wanted her to look at in particular. After she looked the moles over the doctor examined my entire body – from the scalp down, front and back including under my bra. It took all of five minutes – quick and easy like I said. Just think – five minutes to put your mind at ease (which is what happened with me) or to diagnosis a serious skincare condition. I truly don’t see a reason not to do a screening. Since the dermatologist was so friendly I jumped at the opportunity to pick her brain a bit about some skincare issues. First off I asked her what she thought about the EWG annual sunscreen report. Her response was that she didn’t agree with the findings in the report and that the group’s conclusions were misguided and even silly. Though my initially my thoughts about the EWG sunscreen report had been more borderline (see my earlier blog post about the report), that I was inclined to change my sunscreens to recommended brands by the EWG eventually, now after more thought I am beginning to think that the dermatologist is right. Since the EWG is the ONLY group saying the things that they are saying about sunscreens I want validation for at least another source before agreeing with them. The dermatologist told me that she recommends La Roche Posay Anthelios 45 Ultra-Light Fluid for Face and Vanicream SPF 30 (which by the way the EWG thinks is ok). When I saw this article – For Boomers, Sunblocks Come Late – in The New York Times a few weeks ago I debated if I should write a post about it or not. At the time I decided against writing a post about the article because I felt that I had already written enough in my blog about the need for proper sun protection and how you can and should protect yourself from the sun in order to avoid skin cancer. But today I changed my mind in light of the EWG report on sunscreen and the overwhelming interest that people have in the report. As I wrote in my own blog post about the report, one of the things that I am afraid that will happen because of this negative report on sunscreens is that people will stop using their sunscreens altogether out of fear that the sunscreens are doing more harm than good. In my opinion nothing could be further from the truth so I felt that this article had now became more timely and showed with great clarity why you need and want to use sunscreen daily. Older white men like me are the worst when it comes to skin cancer rates. While the death rate from melanoma — the most severe skin cancer — has been declining for 20 years for people under 50, men over 50 have the highest increase in death rate, 3.2 percent a year since 2002. The highest annual increase in incidence of melanoma is among white men over 65, 8.8 percent a year since 2003. And while there’s also rapid growth among young white women ages 15 to 34 (40 percent of 18-year-old women have used a tanning bed in the last year, compared to 8 percent of men, according to the American Academy of Dermatology), nearly twice as many men as women die of skin cancer each year. Furthermore, dermatology was quite primitive when we were born. In the 1950s, Dr. Rigel said, doctors were still amputating limbs to stop the spread of melanoma. As late as the 1980s, he said, there were no good studies on how big a margin needed to be when removing a melanoma, and incisions would stretch 8 to 10 inches. As to why we boomers were the first to metastasize in a big way, Dr. Rigel rounded up the usual suspects: increased wealth and leisure; the explosion in air travel, allowing more vacations in sunny Florida, California and Arizona and at ski resorts; a thinning ozone layer; and a longer life span that gives us the opportunity to die of more things. 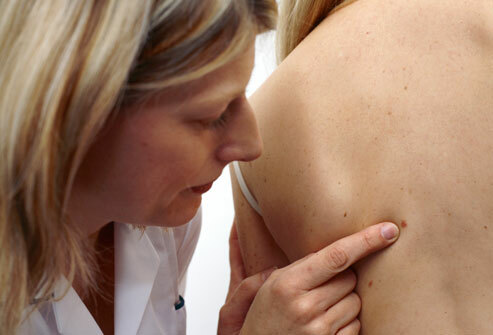 The good news is that skin cancer is one of the most treatable of cancers when caught early. Since the American Academy of Dermatology undertook its first national public health campaign 25 years ago, there has been steady progress in reducing death rates. The five-year survival rate for melanomas has improved from 82 percent in the mid-’70s to 87 percent in the mid-’80s and to 92 percent by the mid-2000s. Early detection is crucial. If a melanoma is removed while still confined to the skin, the five-year survival rate is 99 percent; if it has spread to the lymph system or blood, the survival rate drops to 65 percent; if it has reached the organs, 15 percent. I think this article does a great job of highlighting some key issues: why you need to use sunscreen, why you should be concerned about skin cancer, why you must avoid tanning beds (or cancer beds as I like to call them), and why you should go to a dermatologist for a skin cancer body scan. This week the Environmental Work Group, a non-profit watch dog organization made up of scientists, engineers, policy experts, lawyers and computer programmers that researches and reports on issues concerning public health and the environment, released its newest report on sunscreen. And the report is a doozy. According to the standards that it sets for safety and effectiveness of sunscreens only 8% of the 500 beach and sport sunscreens that the EWG tested, that means only 39 out of 500, are recommended by the organization. The report is extensive and long, I’ve been reading it over the last few days, and if taken at face value – scary. As with all past EWG sunscreen reports there is much bad news and little good news about sunscreens (none really). I looked up all my favorite sunscreens (the ones I use personally and the ones I recommend to clients, family, and friends) and all of them got poor ratings from the EWG. What’s an esthetician to do? Oxybenzone, a very popular chemical sunscreen ingredient (try finding a sunscreen without it – it’s close to impossible) is a hormone disrupting compound. This chemical penetrates the skin and enters the bloodstream causing damage or worse to the body. All pretty upsetting things, right? My fear every time I read the EWG’s sunscreen report is that people will stop using sunscreen because of it. The EWG even states that the best ways to protect yourself from sunburn and sun damage is not to apply sunscreen but rather to seek shade, wear protective clothing, and avoid the sun in general especially mid-day. All great advice – but realistically – how many people can maintain a lifestyle like that? Two other issues brought up in the report interested me in particular. In the section of the report called Hall of Shame the EWG gives a great big thumbs down to powder sunscreens. Anyone who has read this blog knows that I use powder (brush-on) sunscreens daily and highly recommend them as a convenient way to reapply your sunscreen throughout the day particularly if you wear make-up. The EWG objects to powder sunscreens because they say that the titanium dioxide and zinc oxide particles can be easily inhaled and settle in various parts of the body causing damage and irritation. 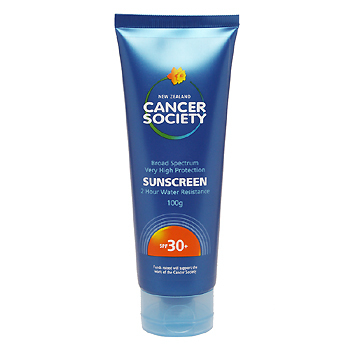 Another point from the Hall of Shame section of the report is about The Skin Cancer Foundation and their seal of approval on sunscreen products. According to the EWG all a company has to do in order to receive this seal of approval is to donate $10,000 to the foundation and prove basic claims about their sunscreens and its spf factor. The company’s seeking approval for their products do not have to prove if the product provides adequate UVA protection, and the company can even make claims about their products that violate FDA regulations. Since I continually mention The Skin Cancer Foundation in this blog and ways to support their work this information was very interesting to me. So Should You Worry? Should You Throw Out Your Sunscreens? First and foremost, please keep using sunscreen daily and keep reapplying it especially if you are spending the day outdoors! Now should you only use the sunscreens that get the best ratings from the EWG? Truthfully I don’t know. First off, all the sunscreens that the EWG recommends are rather obscure, for lack of a better term, for the most part. These are not the brands that you can readily find on the shelves of Target, Walgreens, and CVS for the most part. So is it right to err on the side of caution and only use sunscreens that the EWG recommends? Perhaps. But you should know that not everyone agrees with the EWG’s findings. I found a report on the Cosmetics and Toiletries website that quotes John Bailey, chief scientist of the Personal Care Products Council, views on the EWG report. The Personal Care Products Council is the trade association representing the cosmetic, toiletry and fragrance industry in the United States and globally. John Bailey, chief scientist of the Personal Care Products Council, has released a statement in response to the 2010 Environmental Working Group (EWG) Sunscreen Report. Bailey finds the report unscientific and unsubstantiated, noting that the American Academy of Dermatology, the Skin Cancer Foundation, the Center for Disease Control, the US Food and Drug Administration (FDA), physicians and other health care professionals have all emphasized the safety of sunscreen use. Bailey is concerned that the group’s report will needlessly cause consumers to avoid using sunscreens, when that use is critical to prevent skin damage and skin cancer. According to Bailey, EWG did not use the established scientific and regulatory safety assessment process for sunscreen products and ingredients. The following topics are those proposed and questioned in the report. Vitamin A: In their report, EWG questioned the safety of vitamin A in sunscreens, referencing the National Toxicology Program’s (NTP) announcement in 2000 that it would study the potential of retinyl palmitate to enhance UV radiation-induced photocarcinogenisity. Bailey noted that the study is ongoing (scheduled for late 2010 or early 2011) but is not designed to study retinyl palmitate in the presence or absence of sunscreen formulations. He notes that retinyl palmitate has been reviewed by the Cosmetic Ingredient Review (CIR) expert panel and found to be safe in cosmetics. Skin cancer: EWG questions the ability of sunscreen to fight skin cancer based on increased skin cancer rates. Bailey maintains that skin cancer rates are the result of excessive unprotected sun exposure from several decades prior and on our ability to better track, monitor and report occurrence of the disease. Oxybenzone: In response to the safety of oxybenzone, Bailey notes, “When used as a sunscreen ingredient, oxybenzone, also known as benzophenone-3, protects the skin from harmful UV rays. Oxybenzone is also used to protect cosmetics and personal care products from degradation by absorbing UV rays.” Benzophenone-3 is approved in the United States, Canada and the EU as a safe and effective OTC sunscreen ingredient. In addition, it has been found safe for use as a photostabilizer by the CIR. Finally, Bailey added that there have been no available scientific data supporting a link between UV filter exposure to endocrine-disruptive effects in humans. Nanotechnology: Nanoparticles have been found to pose no risk to human health, according to Bailey. In addition, when used to protect against UV damage, nanoparticles are required to go through an extensive FDA pre-market review process to prove they are safe and effective. FDA sunscreen monograph: Finally, Bailey added that the FDA is not intentionally delaying the release of the final sunscreen regulations. He noted that establishing sunscreen safety standards is a long and vigorous process, and that the FDA is considering a number of viewpoints before establishing final guidelines. So who to believe? Frankly and honestly, I just don’t know. I wonder sometimes if the EWG is hysterical or if they are right and we are all just sticking our heads in the sand. This question made me think of Silent Spring by Rachel Carson. When the book was first published in 1962 and warned of grave health and environmental issues that were affecting everyone and being ignored by the government and industry, many people didn’t want to believe Carson. Of course, it turns out that Carson was right, particularly when it came to the horrible effects of DDT on the environment and human health. So I ask myself – is the EWG right? Should I follow all their instructions? Truthfully, at the moment I am not going to change anything. But when I run out of my current sunscreens I think I will look at the EWG’s recommendations again and perhaps try one of the sunscreens that gets a best rating from them. As for The Skin Cancer Foundation, I still think their website is an excellent source of information about skin cancer prevention and issues, and I will continue to recommend that people look at the site. I’ll also keep using my brush-on sunscreen. I just think that concern might be overblown. I would be very curious to hear what my readers have to say about the report. If anyone has tried any of the sunscreens that the EWG recommends I would like to hear what you think about them. Here is a link to another blogger’s take on the EWG report. You can find the American Cancer Society’s comments on the EWG report here. Here is one of The Skin Cancer Foundation’s response to the EWG report. This is a more comprehensive response by The Skin Cancer Foundation. And here is a comment from Allure magazine about the issue of Vitamin A in sunscreens. P.S. – About two weeks after writing the above post I went to the dermatologist for a skin cancer screening. While there I asked her what she thought of the EWG’s sunscreen report. Her response was that she didn’t agree with the findings in the report and that the group’s conclusions were misguided and even silly. Though my initially my thoughts about the EWG sunscreen report had been more borderline, that I was inclined to change my sunscreens to recommended brands by the EWG eventually, now after more thought I am beginning to think that the dermatologist is right. Since the EWG is the ONLY group saying the things that they are saying about sunscreens I want validation for at least another source before agreeing with them. The dermatologist told me that she recommends La Roche Posay Anthelios 45 Ultra-Light Fluid for Face and Vanicream SPF 30 (which by the way the EWG thinks is ok) as good sunscreens for her patients to use. For more opinions on the sunscreen controversy see my post The Debate Continues. For Dr. Leslie Baumann’s opinion about the EWG’s sunscreen report see this blog post by her. The American Academy of Dermatology disagrees with the EWG’s findings on retinyl palmitate (vitamin A) in sunscreens.